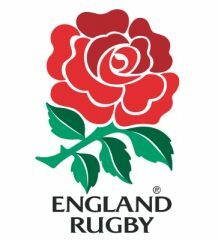 THE England squad returned to Pennyhill Park this evening to prepare for Saturday’s RBS 6 Nations match against Scotland at Murrayfield. Jonny May (Gloucester Rugby) suffered a fracture to his nose against France and will see a specialist on Monday for further assessment. A decision on his availability for selection against Scotland will be made following that examination. Courtney Lawes (Northampton Saints) suffered a bruised cheekbone but no structural damage and will be available for selection. Under the Elite Player Squad agreement England will have 33 players in camp with Freddie Burns returning to the senior squad following his two appearances for England Saxons, while Stephen Myler (Northampton Saints), Rob Webber (Bath Rugby) and Richard Wigglesworth (Saracens) remain with their Aviva Premiership clubs.